CBD-based chewing gum, the latest development of the medical marijuana industry produced by Medical Marijuana Inc. and CanChew Bio-technologies, will hit the shelves of health food markets in the near future, says UnitedPatientsGroup.com. MJNA is the nation’s premier hemp nutraceutical firm. Cannabis chewing gum may sound like a fairy tale product from the future, but patients can expect it to be a reality soon. 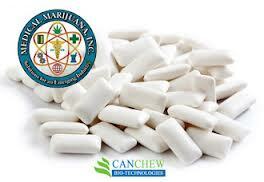 CanChew gum, the newest addition to the Medical Marijuana Inc. portfolio of revolutionary CBD-based products, is in the market testing phase right now and will become available at health food markets in early 2013. UnitedPatientsGroup.com explains how this gum can benefit many medical marijuana patients. “Medical Marijuana Inc. recently acquired a 50% interest of CanChew Bio-technologies from European based pharmaceutical company Sanammad to come up with this industry changing product that will offer a discreet way for patients to take their medication and find relief,” says John Malanca, founder and owner of UnitedPatientsGroup.com. Rapid absorption of pain relieving Cannabidiol (CBD) – When the gum is chewed, the active compounds are released directly into the blood stream via the oral mucosal glands, providing more rapid relief. Regulated dosages – Each piece of gum contains a regulated amount of CBD, so the guesswork of pain relief is virtually eliminated. A socially acceptable delivery method – Unlike smoking, CanChew gum allows patients to take their medication any place and any time without having to worry about the negative social stigma. In addition to these benefits, UnitedPatientsGroup.com says Medical Marijuana Inc’s CBD products provide an innovative way for patients to find relief. For more information about CanChew gum, visit canchewbiotech.com or medicalmarijuanainc.com. To learn more about UnitedPatientsGroup.com, please call (415) 524-8099 or visit UnitedPatientsGroup.com. The best way to stay informed about developments is to “like” United Patients Group on Facebook and “follow” Untied Patients Group on Twitter. 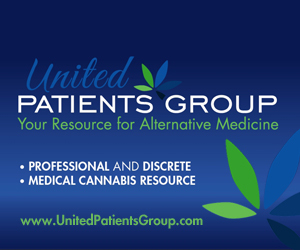 UnitedPatientsGroup.com is a discreet, safe, and professional [online medical cannabis information resource for prospective and current patients, caregivers, and medicinal cannabis industry professionals. A complimentary Five Star-rated UPG medical marijuana app is now available on the iTunes app store for iPhone 3GS, iPhone 4, iPhone 4S, iPhone 5, iPod touch (3rd generation), iPod touch (4th generation) and any iPad.